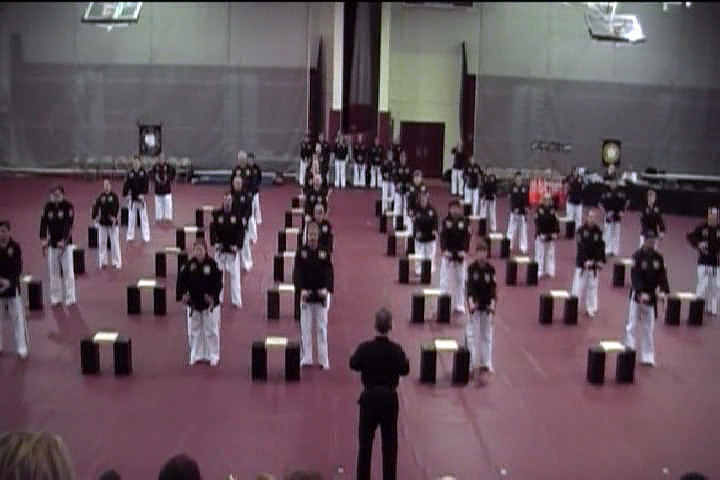 This page is intended to list all the AKDW videos according to the year in which they were recorded. 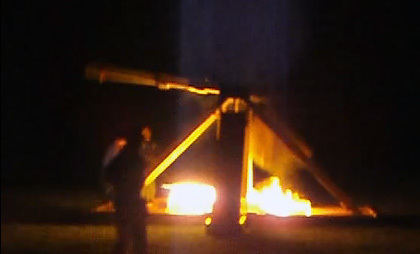 The page is still undergoing revision and modification, but we wanted to have the listing of videos to be available for easy reference as soon as possible. 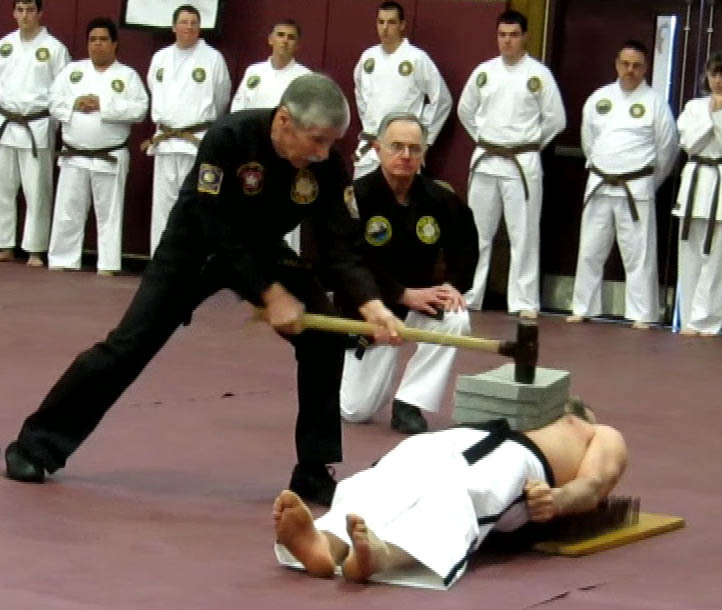 Master Lester Beyer - Meditation & Multiple Board Breaks. 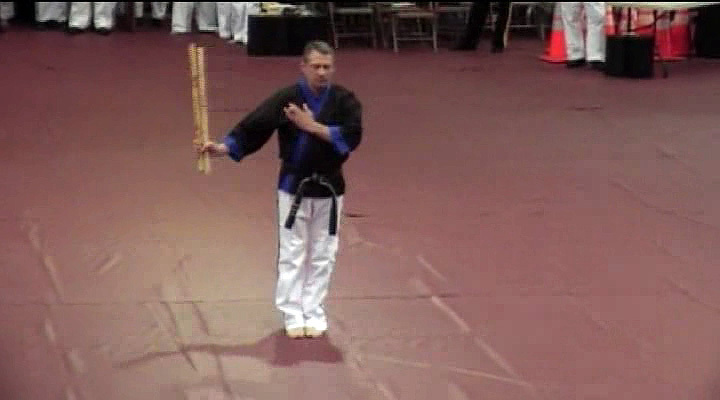 Mr. Steven Howard - An open hand form Hansoo, "Fluidity of Water". 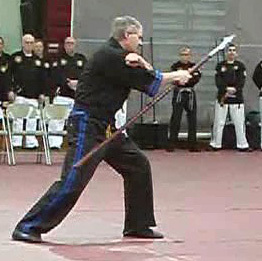 Master Dan Jones - Chinese Broad Sword form Da Dao adapted from "Courage War". 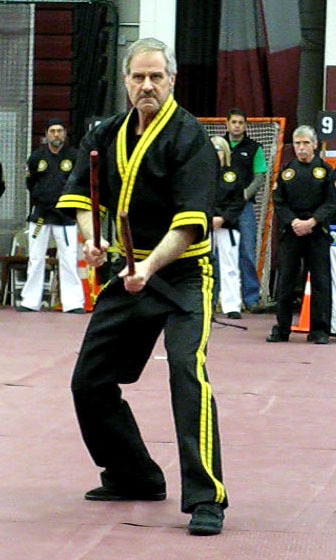 Mr. Michael Delouche - An Escrima form. 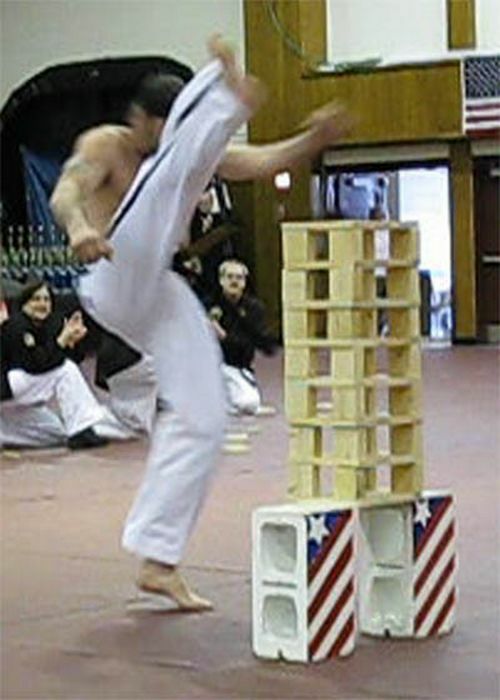 ��"Shou Lei Gan" ~ "Stick of Thunder". 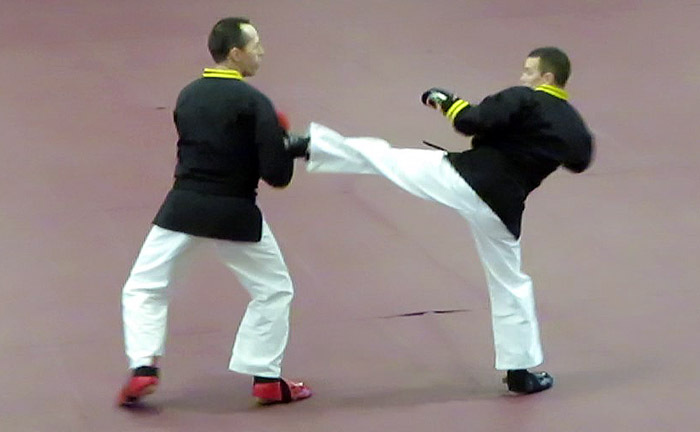 Mr. Daniel Retajczyk and Mr. Jeremy Hopping - A Sparring Demonstration. 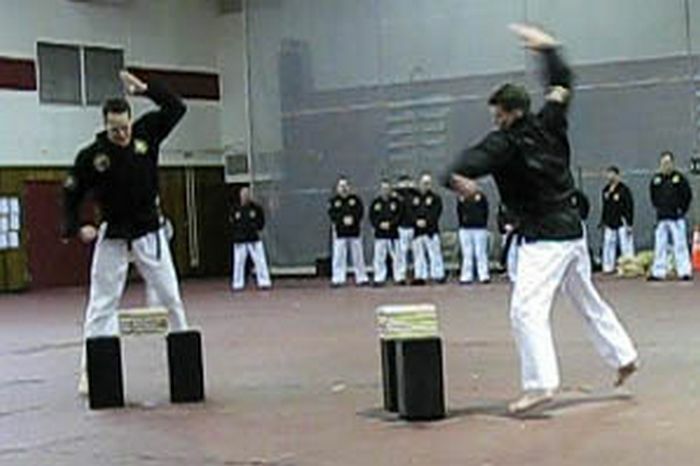 First Eight Moves of Kata One. 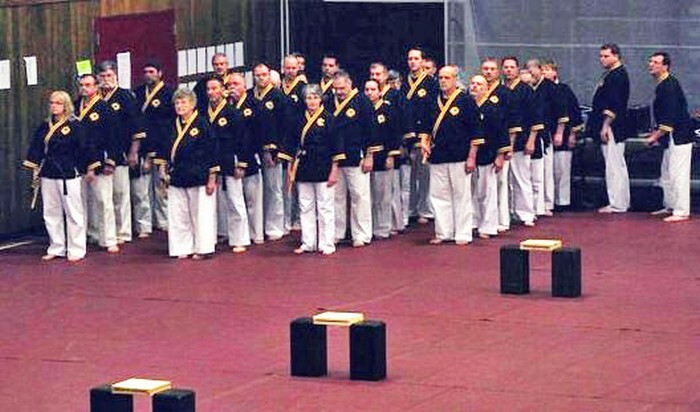 AKDW Black Belts - Various Meditation & Multiple Board Breaks. 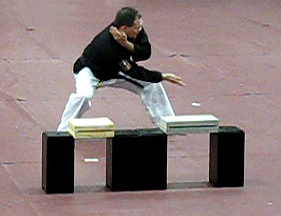 Mr. Steven Howard - An open hand form. 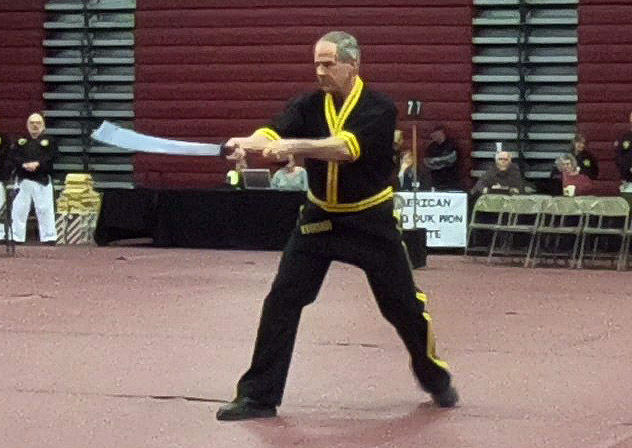 Master Dan Jones- Blade form ~ "Pulk un Kolmok" ~ "Red Alley". 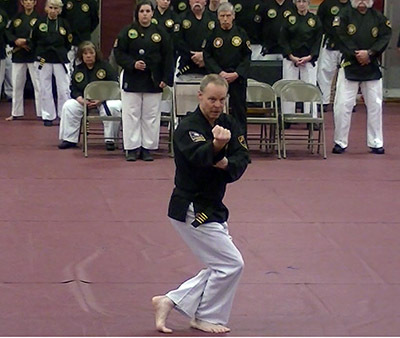 The Black Belt Demo Team - Master Robert Lawlor: Black Belt Bo (Staff) form prepared by Master Frank Palumbo: "Shou Lei Gan" ~ "Stick of Thunder". 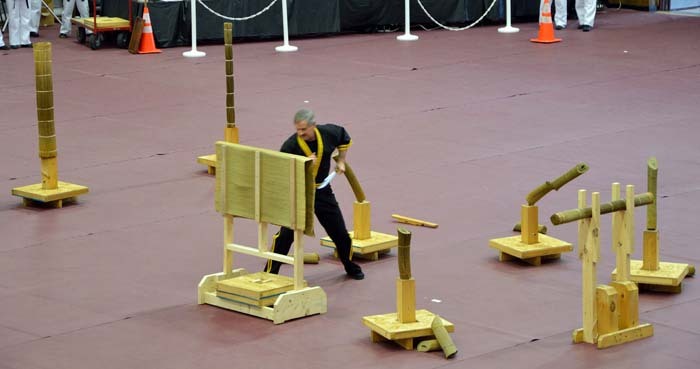 Mr. Daniel Retajczyk - Musical kata with board breaks. 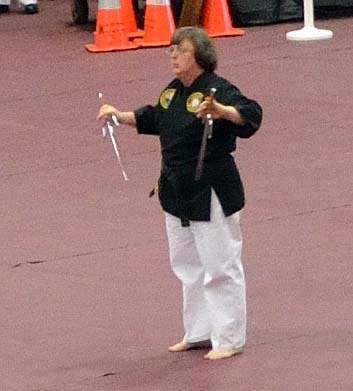 Open Hand and Weapons form: ~ Old Koryo. 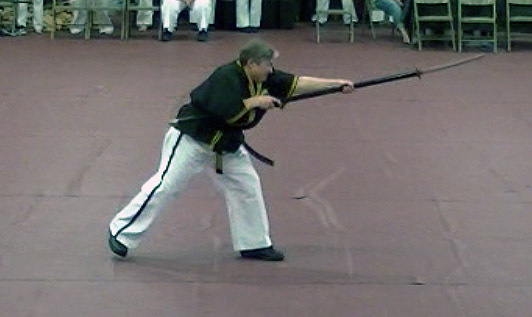 Master Debbie Hintopoulos - A Naginata form Sohei ~ origins from Warrior Monks of Japanese. 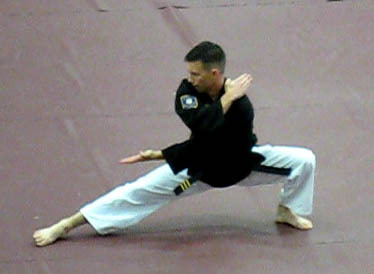 Horse Stance Center Punch and First Eight Moves of Kata One. 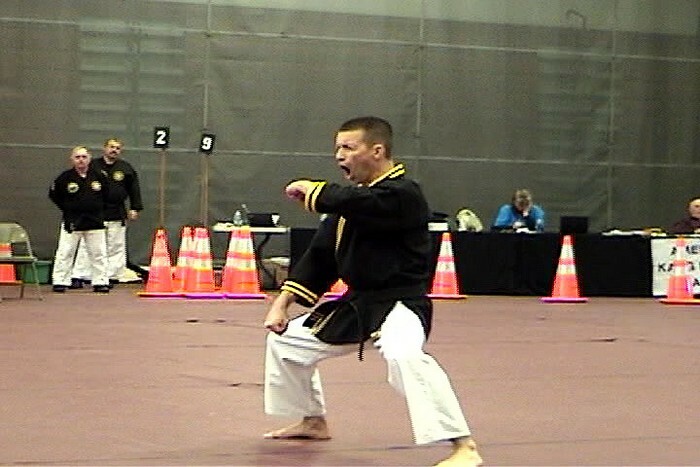 Mr. Jeremy Hopping - An open hand form to music. 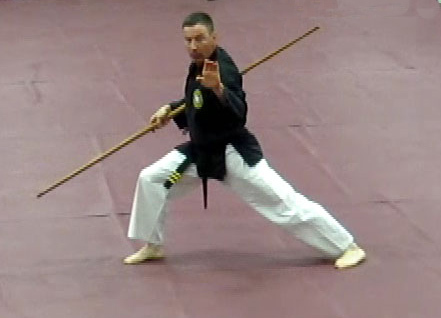 Master Dan Jones - Noe Song pa-ram or Thunder Wind (A Cane Form). 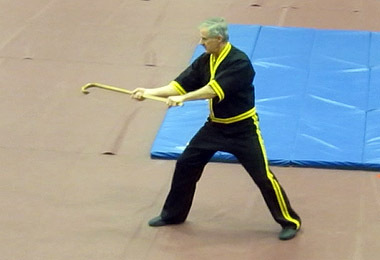 Master Dan Jones and Mr. Phil Widrick - Applications of cane techniques for basic self-defense. 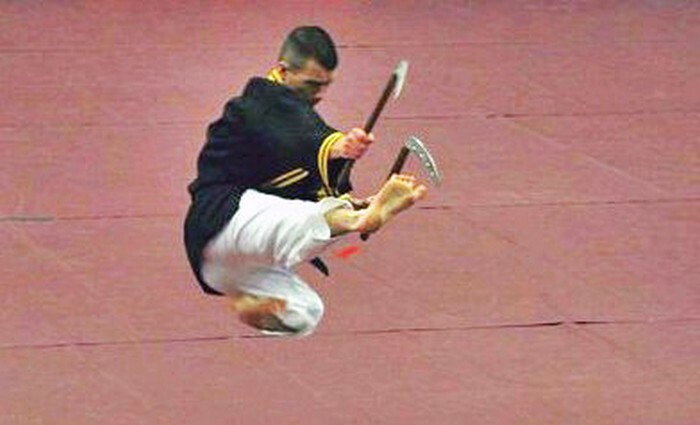 The Black Belt Demo Team - A spear form. 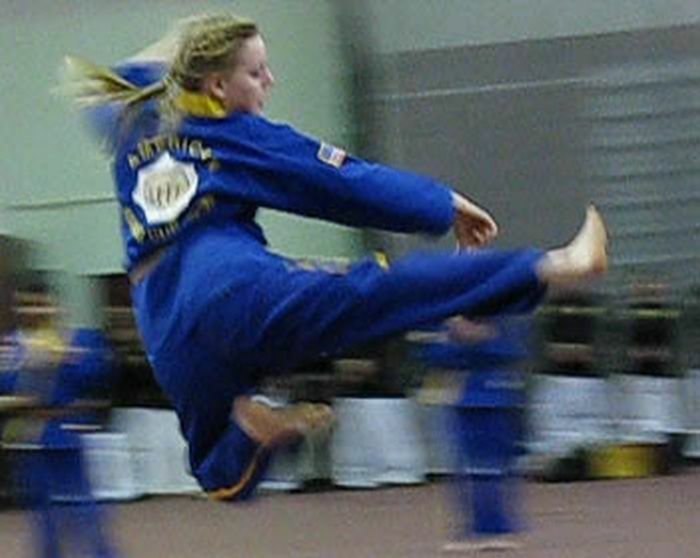 Master Charlene Rydgren - An open hand form. 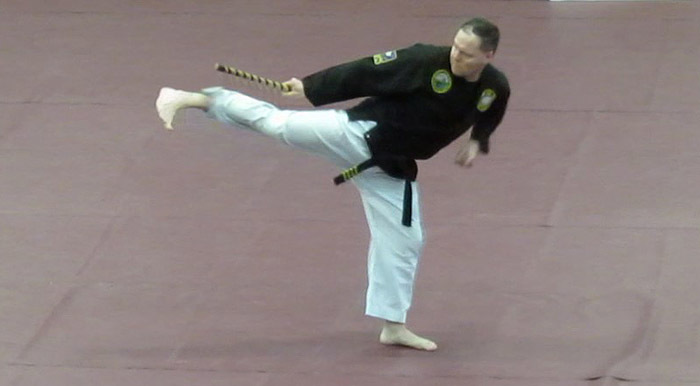 Master Dan Jones - Gum Jung Sae (A Short Spear Form). 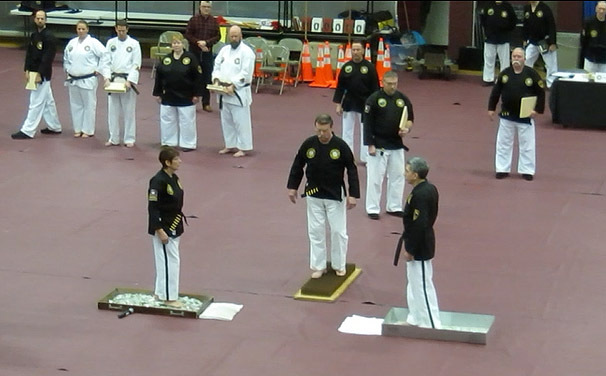 The Black Belt Demo Team - A Sword Form. 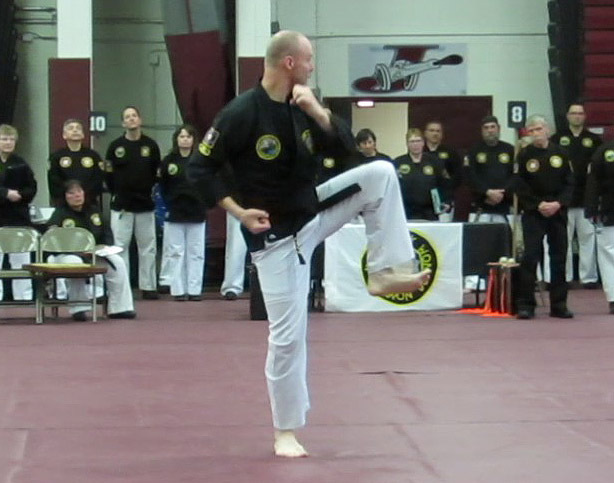 Mr. Jeremy Hopping - Demonstrates the Ge-Baek Form. 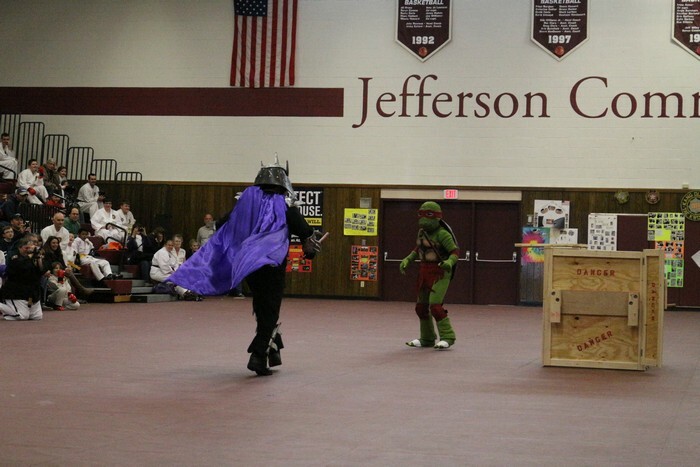 A Mutant Ninja Turtle and Shredder have some fun. 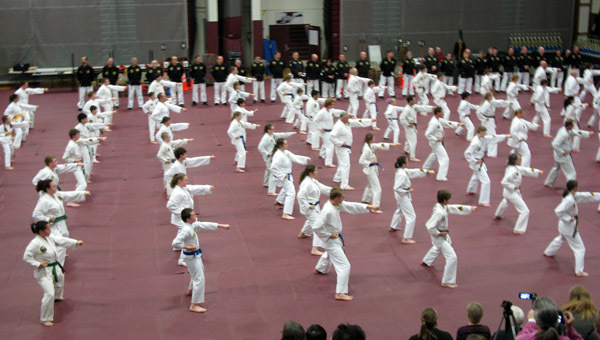 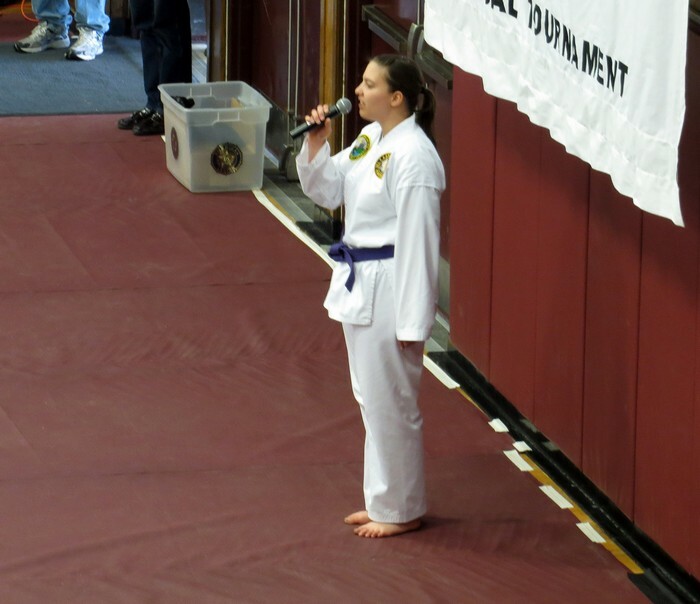 sung by Ms. Amy Thomas, Queen's University dojang, Kingston, Ontario. 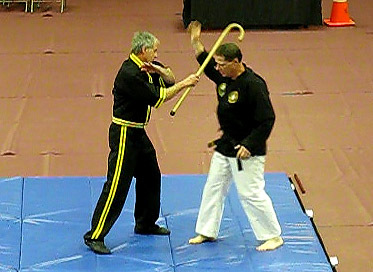 Master Dan Jones and Mr. Daniel Retajczyk - Escrima Self-Defense. 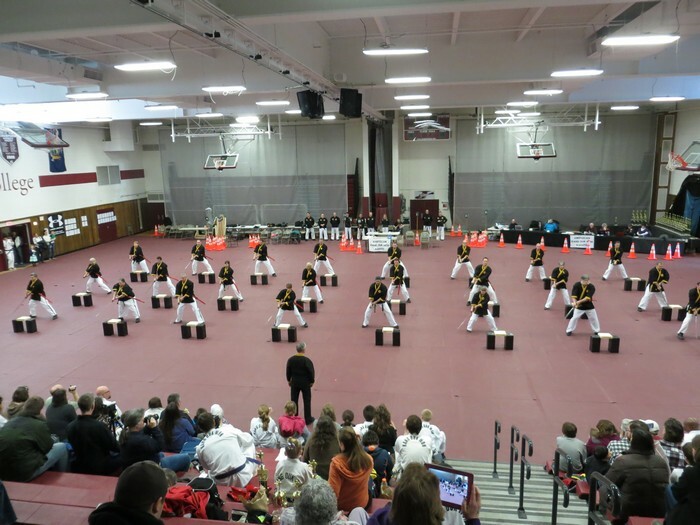 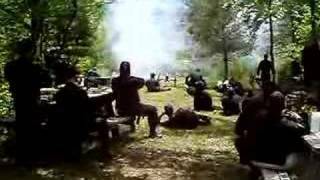 The Black Belt Demo Team - An Escrima Form. 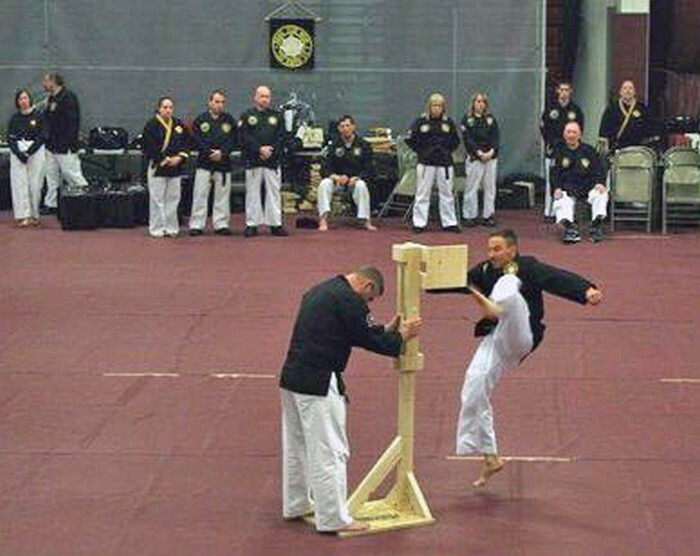 Mr. Jeremy Hopping - Kama Demonstration Form. 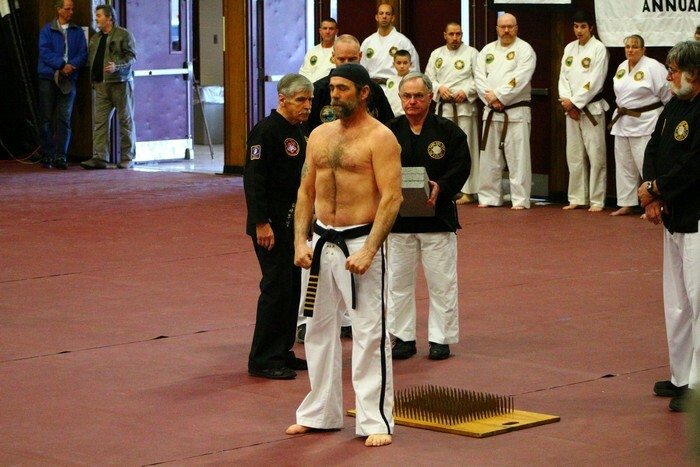 Mr. Mark Norman - Chulgis with a Breaking Routine. 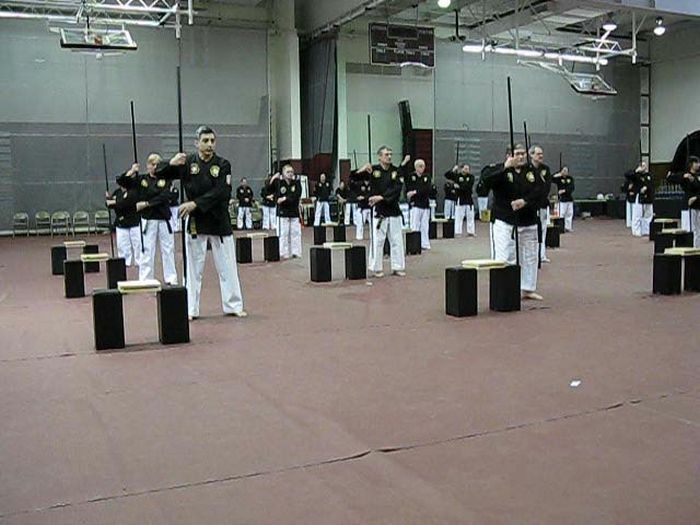 Master Dan Jones and the Escrima Combat Team. 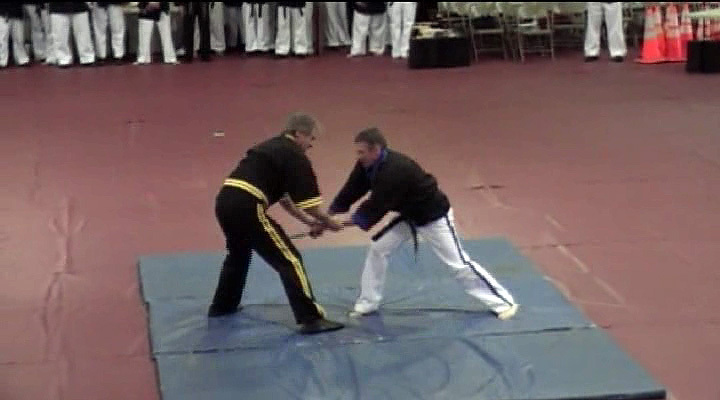 Master Dan Jones and Mr. Daniel Retajczyk - Escrima Self- Defense. 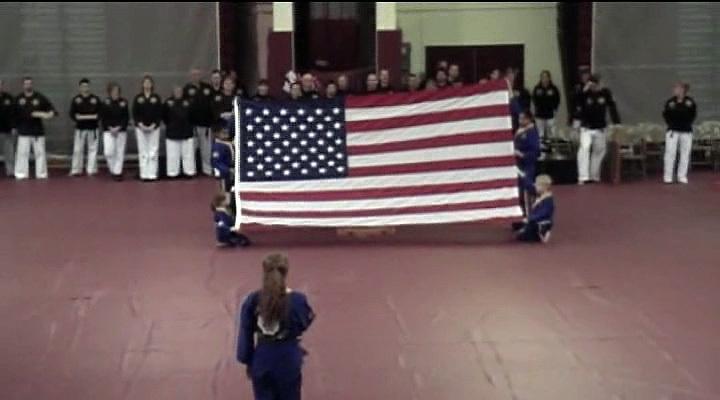 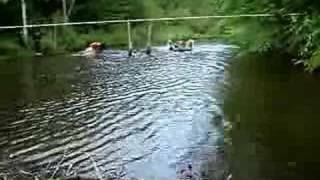 (Click here for video 1 - with description of each break. 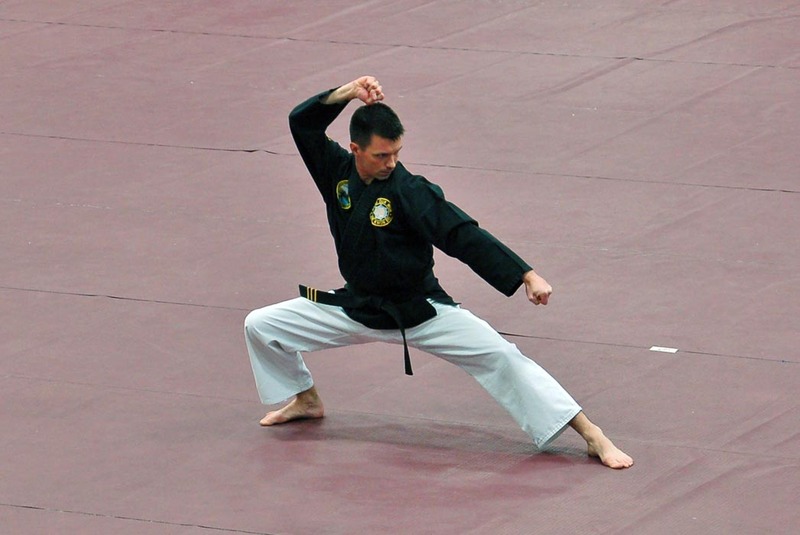 Mr. Jeremy Hopping - An open hand kata. 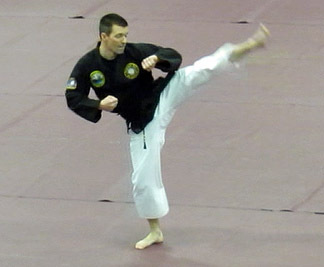 Mr. Mark Norman - Hiashi Bo Form. 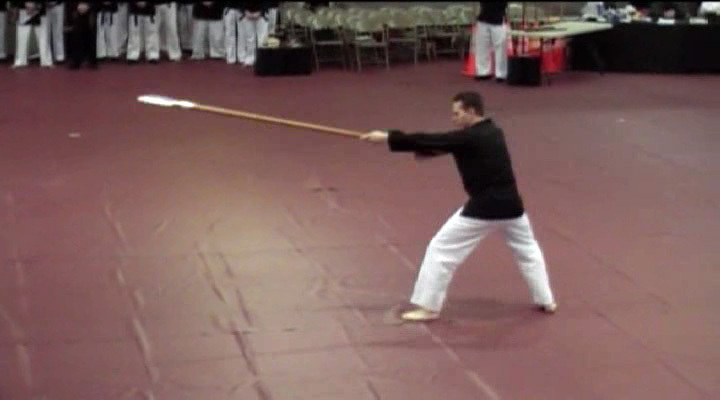 Master Dan Jones - Timberwolf Escrima Form. 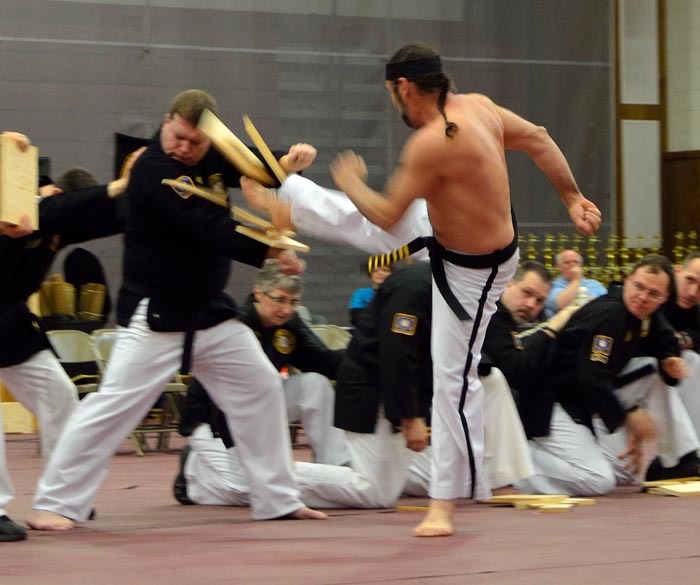 The Black Belt Demo Team - A Tonfa Form. 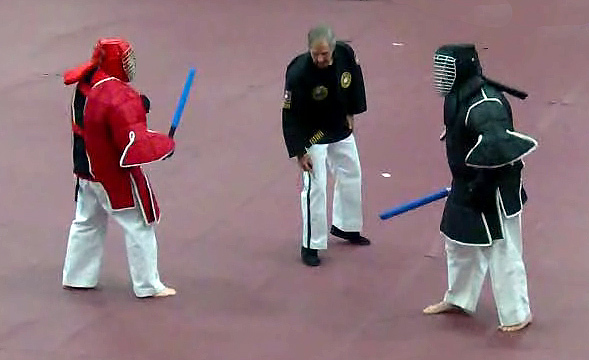 Mr. Michael Delouche - Chip Jang and Chip Su. 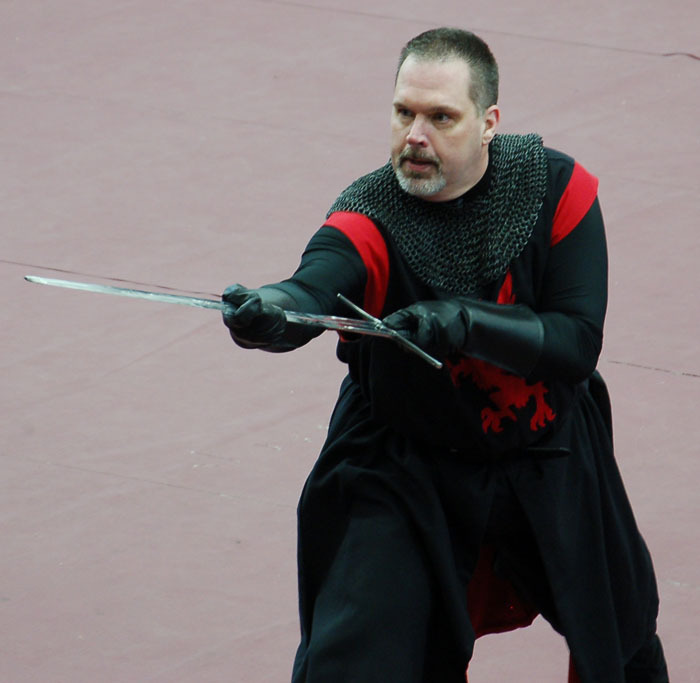 Mr. Andrew Ellis - A Musical Broadsword Form: Sword Maker's Dungeon. 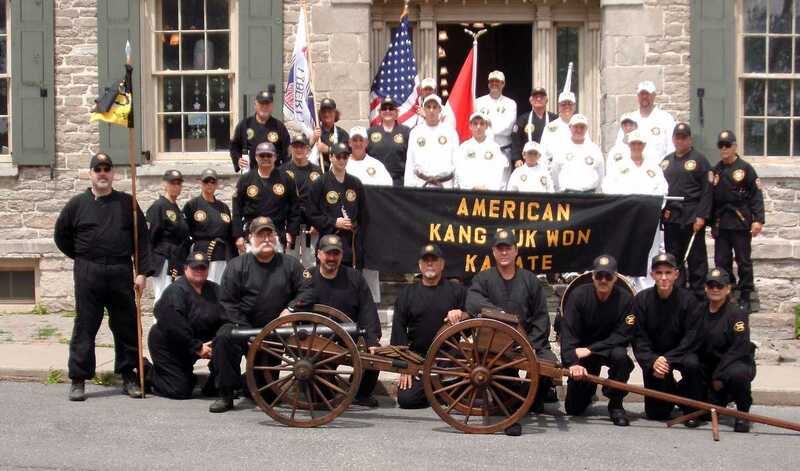 Can-Am Parade at Sackets Harbor Saturday, July 20, 2013. 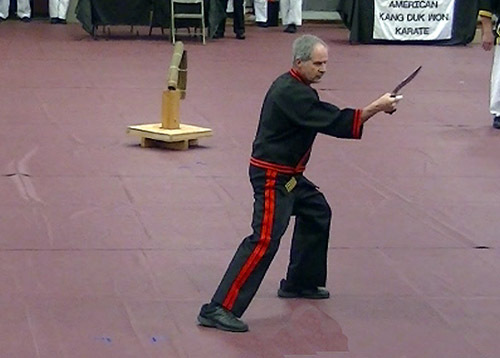 Master Dan Jones and Mr. Mark Sears - A sword cutting demonstration. 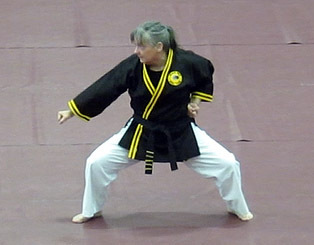 Mrs. Lisa Bonner - A Psi kata set to music. 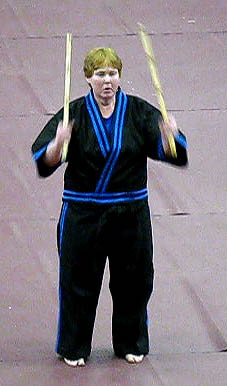 Ms. Sherri Wilson - An Escrima kata set to music. 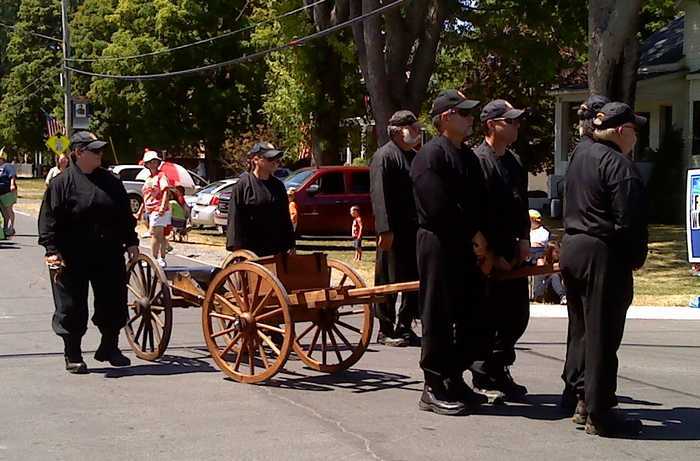 Can-Am Parade at Sackets Harbor Saturday, July 21, 2012. 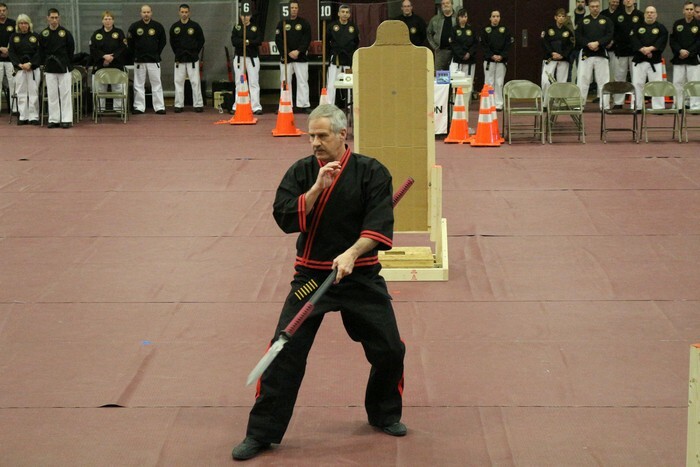 Master Dan Jones - A spear kata set to music. 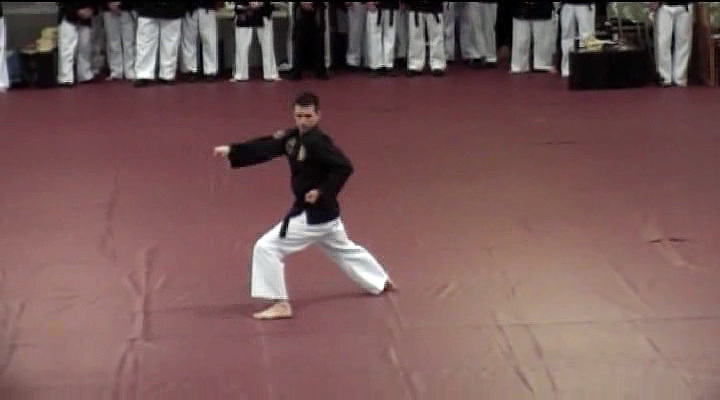 The Black Belt Demo Team - A Bo Form - "Shou Lei Gan" ("Skilled Stick of Thunder"). 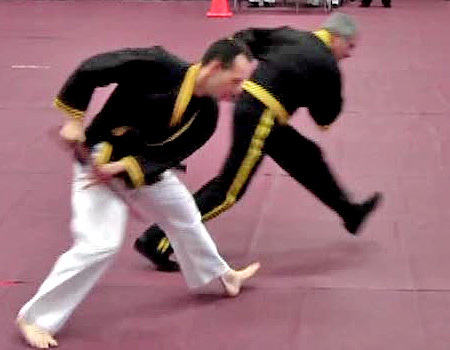 Mr. Daniel Retajczyk and Mr. Jeremy Hopping - A dual kata set to music. 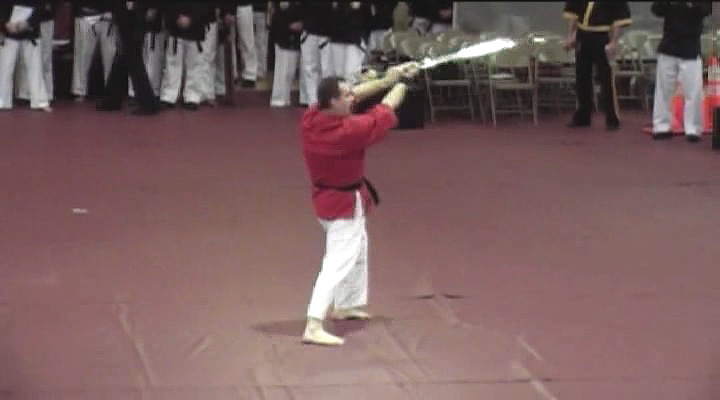 Master Dan Jones - A Sword Form. 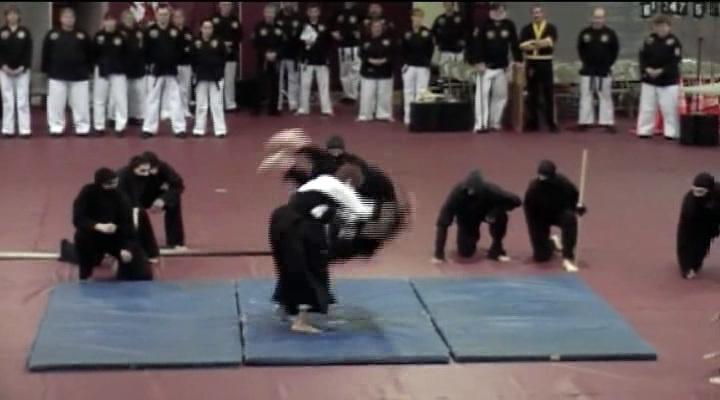 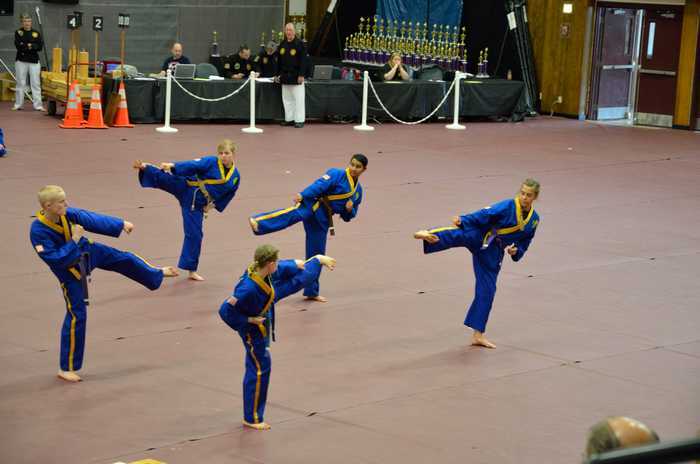 The Black Belt Demo Team - A Kama Form. 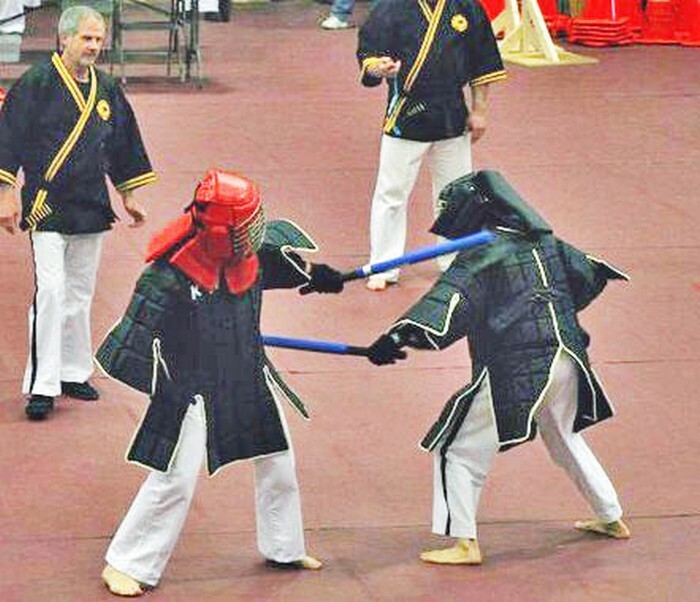 Master Rose Carpenter and Mr. Ralph Steria - Bo Fighting. 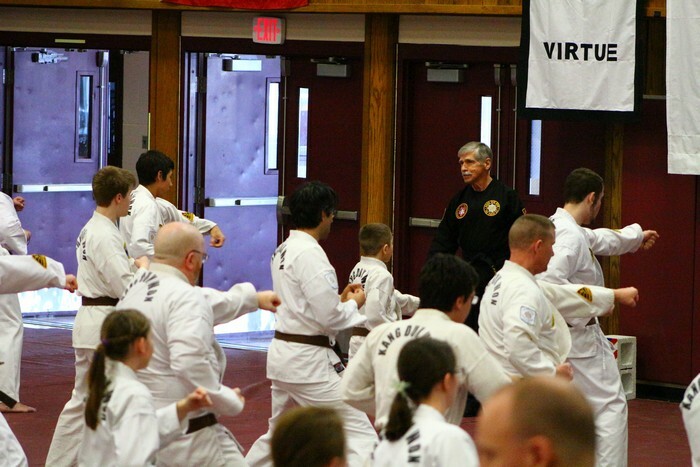 Mr. Michael Delouche and Mr. Mark Patterson - Fundamentals of Mixed Martial Arts. 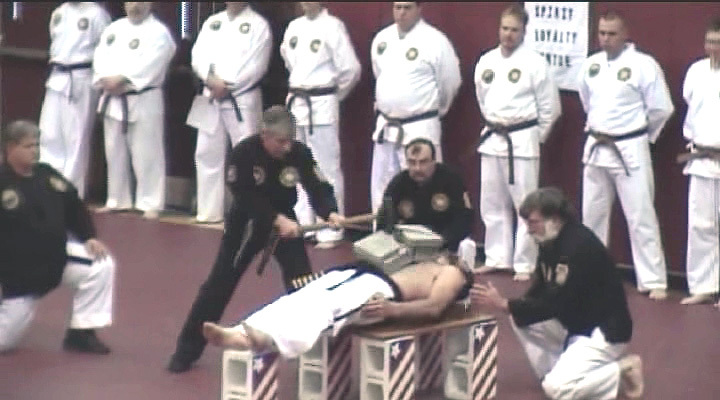 The Black Belts relax for lunch with entertainment.